RANJHA: Wild animals inside the Banke National Park are frequently killed in road accidents as they have to cross the East-West highway to reach the Rapti river due to the lack of adequate sources of water inside the park area. According to him, the Park is mulling implementing the 'time card' system for vehicles and increasing the number of check posts. It is also planning to install CCTV cameras at several paces along the highway in the park. 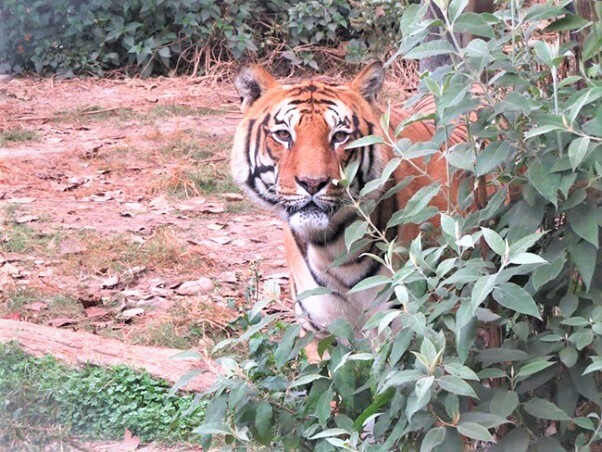 Wildlife conservation experts say that the tiger's prey like the spotted deer, swamp deer and other herbivores are facing crisis due to the drying up of grass and vegetation for lack of adequate water sources.